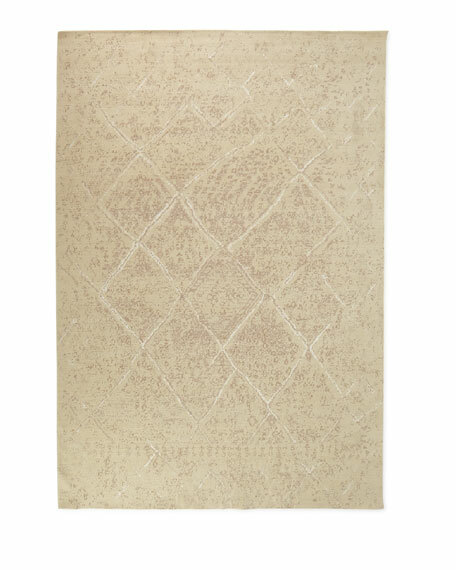 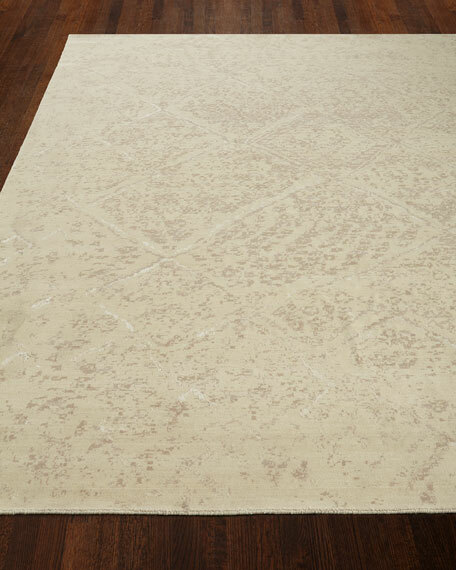 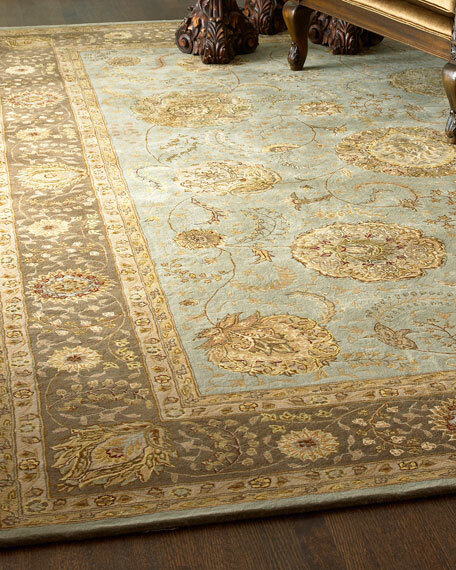 Rug offers a velvety soft field and a luxuriously lush pile for a heavenly look and feel. 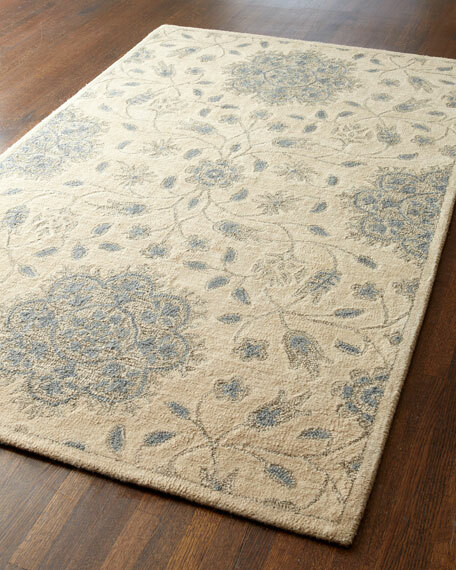 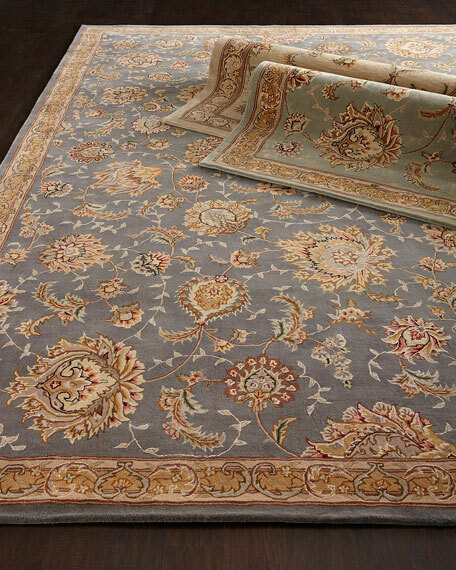 Azure Mum Rug, 8'6" x 11'6"
Tufted rug.Wool pile with silk highlights for added luster.Size is approximate.Imported. 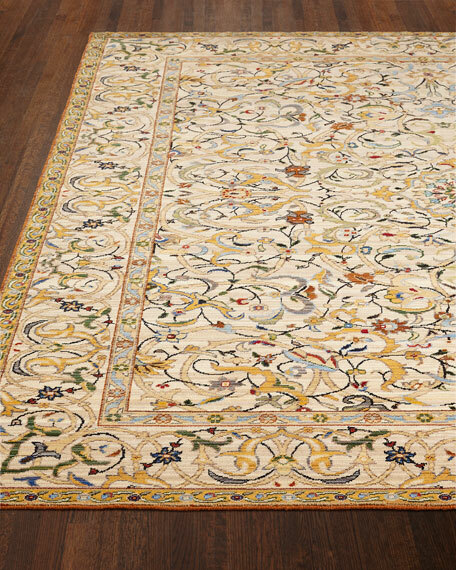 Everett Rug, 7'9" x 9'9"
Densely hand tufted of wool and silk.Cotton backing applied with latex.Size is approximate.Imported.